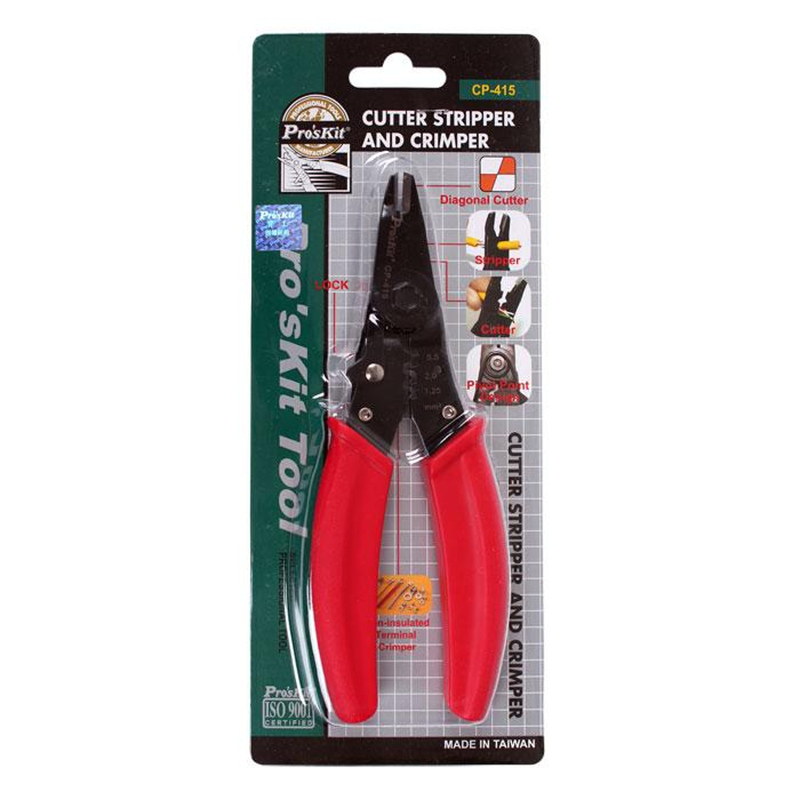 Scissors-action, up-front wire cutting and wire stripping. 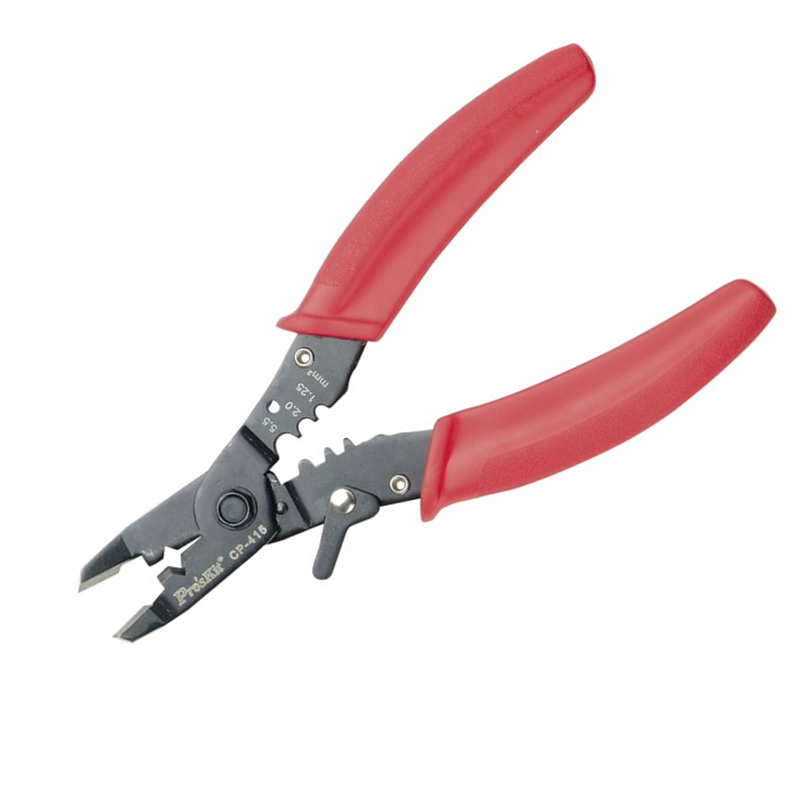 Pliers-style nose allows pulling and looping wire. Red cushion grip handle provides maximum leverage (TPR). Quick lock protects precision cutting surfaces when not in use. Pivot point design assures greater joint strength and adds easy, precise adjustment capability.